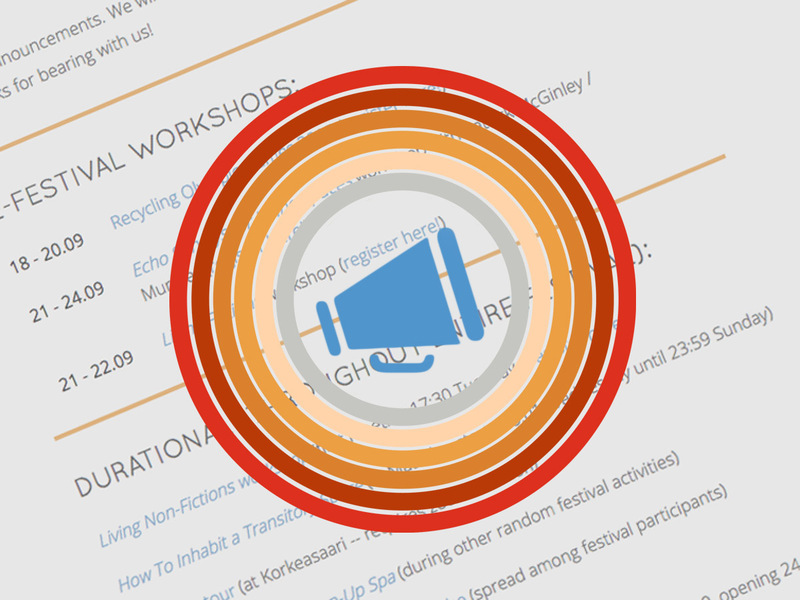 Pixelache Festival 2015 | Pixelache Festival programme announced! We are pleased to announce the programme for this year's Pixelache Festival, Living Spaces, which takes places 23-27 September. This year's festival continues Pixelache's focus on transdisciplinary culture and participatory activities in particular, with numerous workshops, performances, art pieces, and other difficult to describe activities. The schedule is available on our festival website. A few small details are not yet confirmed, such as the exact times and route of our festival tram, but we will update this information the moment we have it.